June 2010 – Youthful Yells ! I am a “Rooster”! And you? Don’t take it the wrong way! The Chinese horoscope has classified the people born in between 23rd January 1993 to February 9 1994 as “Roosters”. “Roosters are the most eccentric of the Chinese zodiac. They are full of dreams and romantic ideas. They are colorful and attractive, radiant and dashing, and they are quite proud of themselves. Roosters are organized, precise,and their sharp eyes seek out fine details in everything. They are perfectionists and leave no room for human error. To Roosters, a difficult task is a challenge. They dearly love starting controversies. Roosters express themselves very well both in writing and speech. They are knowledgeable in most subjects you wish to discuss. When you challenge them you must be prepared for a long fight. Their stamina is amazing and they win their point at all costs. Even when they are wrong, they will still be right in one way or another! Roosters can be blunt and brutal. Their direct approach to life makes them poor diplomats. They speak their minds with little regard for the feelings of others.Why should others be upset? Roosters are right, aren’t they? Roosters are good at handling money and their self-control with keeping budgets is phenomenal. They are not miserly, and in fact, they can be extremely generous and giving. They simply want their finances in complete accord, and yours, too. 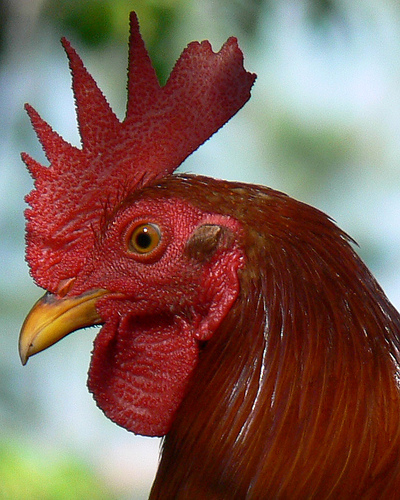 If you have trouble, Roosters quickly straighten you out whether you want them to or not. Don’t be ungrateful either, you should be glad they condescended to help you at all. Roosters are careful with their time and you only deserve so much, so plan things well. Roosters are sincere in their desire to help and no one can carry out important tasks like them. Just be certain your orders are explicit and don’t expect them to improvise for you on their own time. Roosters are ambitious and they reach for the sky. They have a deep passion for their chosen fields, and they are very creative. They usually start out young in life and enjoy success early in their careers. They do well in their own businesses. They are meticulous and competent enough to make things work. When they set out to accomplish something, they leave no stone unturned. They probe deeply with their inquisitive, busy minds. They never remain still. Roosters must learn that some things take time. No matter how competent they are, they can’t reprogram the whole world to fit their schedules! They achieve the most amazing things, but Roosters always become eccentric over the final details. So check out what sign are you. To see just click here ! Some people have very great desire for power and authority. I think of myself being one of them. And I confess that it is the most dumbest and the most dangerous things for an individual. I say this on the basis of the idea that the repercussion one will have to face if things go the wrong way, can be very devastating. Recently i have been assigned a very heavy duty. Guess what! 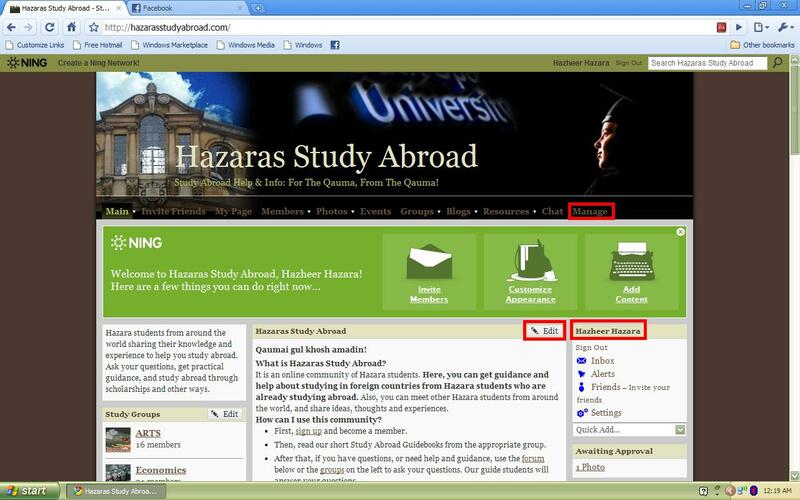 I have become one of the moderators of HSA, Hazara Study Abroad. Before being made a part of it, it seemed a very good idea. I thought WOW! you are a part of the authority now. But as time passed and i realized about my habit* and started assessing where i stand, i felt a little afraid or rather felt a heavy load pressing down on me and a barrel of responsibility is now always threatening me. I now always have a fear of failing someone who has taken me in confidence. You may be wondering why didn’t i turn down the offer, but you should remember that i was thinking of backing off but someone inside me told that it would be escaping from responsibilities, and i would be leaving an impression that i was not capable of being taken into confidence and most important of all i would be leaving an impression of self diffidence. To the all readers, I will be standing firm and would be trying my utmost not to observe any repercussions and would give up if i found myself not capable. So let the heavens be with me in order to make my resolution not fail. * I leave my account opened . I close the window without logging out or signing out ! 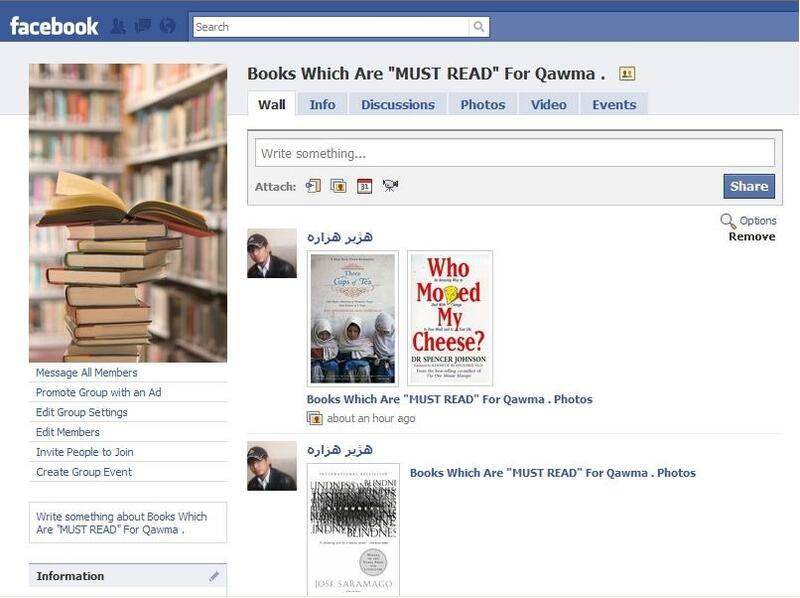 As i have mentioned in the “Info” section of this group on Facebook, i once again state that i have a very deep interest to know about the kind of literature our Hazara fellows like. Therefore, i have made this group to benefit from the experiences and reviews of the people who have read many books and also to help other Hazara book-seekers to easily find prominent and healthy books. Hope You join my group on Facebook ! Moreover, I would be posting the reviews of some books on my blog too. Click here, for the facebook page. Sar Pa Na Khalasezhee ! The first Hazara asylum seekers to go to Australia was in middle 80’s or early 90’s (Correct me If I am wrong with this Info). The reason for asylum seeking : “Afghanistan is not a safe place for the Hazara’s”. Back then It was “really” not a safe place, not only for the Hazara’s but for the whole Mankind. Because back then Afghanistan was in midst of a civil war which caused lots of its citizens flee for their life. One of those asylum seekers was Doctor Waheed. 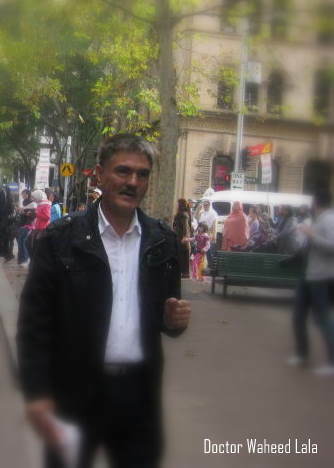 My father’s cousin and a notable Hazara living in Sydney. The reason for introducing Doctor Waheed Lala is, a situation which he had handled very cleverly in his office back then in 198? or 199? . When Doctor Waheed Lala gets a job in an office he has lots of Afghani colleagues belonging to Tajik and Pashtun ethnic groups. So the colleagues of him cannot bear a “Hazara” working with them due to their enmity in Afghanistan. So, his co-workers start picking on him and behaving with him in such a way to make him resign from the office and position given to him.One day after everything they had tried fails, all his colleagues gather in a break time to taunt him collectively. The start like this. – Mr. Whaeed, we have heard really very shameful things. How can some stupid people accuse our beloved “Hazara Brothers”. = What is the matter, what have you heard? – No it’s really a shameful accusation on our Hazara brothers. How can i tell you. = Don’t hesitate. Tell me. – I am really very sorry to say but people have accused our “Hazara brothers” that they nail Nails in the head of Pashtuns? – I am really sorry. I am against this accusation. These are big lies against our Hazara brothers. = No, it is not a lie. It’s absolutely true! – Doctor “Sahab” ! How can you agree with such a shameful act? How can you accept this? = As i said, its 100 % correct. Look! We Hazaras have been persecuted and marginalized for 2 centuries and it is still continuing. We have been yelling for 2 centuries that we don’t have food to eat. The response comes ” Sar Pa Na Khalasezhee” . We were shouting that we don’t have schools, hospitals and our children are bare footed. What response do we get? The same “Sar Pa Na Khalasezhee”. We were shouting that our homes are being burnt and our land are being looted. The response has always been “Sar Pa Na Khalasezhee”. = So, you tell me. The people who still live in caves and have never seen school let alone attending Biology classes. How come they know how this ” Sar” gets “Khalas”. Those poor people who had never attended Biology classes thought a lot about how to make these “Sars Khalas”. They came up with the idea of nailing them. This, they thought will make their “Sars Khalas”. It’s simple as that. After having this discussion with his colleagues, Doctor Waheed Lala never ever had to face any of their mis-behaviour. The reason for describing the incident is that in recent years, the same is things is being repeated. We are being driven out of our lands, our provinces get the most limited attention, we get discriminated in offices, our ministers don’t get access to parliment for being Hazara and many more issue and the funniest part is that we have got our vice president but still we are getting the same ” Sar Pa Na Khalasezhee” response. What should we do now? In what way should we make them ” Sar Khalas” ? It’s a question still unanswered !